Weight loss surgery is not a cure for type 2 diabetes, but it can improve blood sugar control, according to a new study published in the British Journal of Surgery. Whereas some previous studies have claimed that up to 80 per cent of diabetes patients have been cured following gastric bypass surgery, researchers at Imperial College London found that only 41 per cent of patients achieve remission using more stringent criteria. The research was funded by the National Institute for Health Research (NIHR) Biomedical Research Centre awarded to Imperial College Healthcare NHS Trust and Imperial College London. Obesity is a major risk factor for type 2 diabetes. Worldwide, 80 per cent of people with type 2 diabetes are overweight or obese at the time of diagnosis. 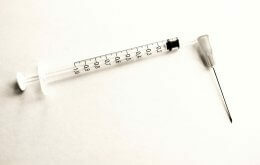 Diabetes is normally treated by using insulin injections and drugs to control blood sugar. However, many diabetic patients who had stomach surgery to lose weight found that their diabetes improved, even before they had lost any weight. Recently the American Diabetes Association pulled together a group of experts to agree on standards by which to assess whether a patient has achieved remission of diabetes. They defined complete remission as returning to normal measures of glucose metabolism without taking diabetes medication at least one year after surgery. The new study revisited previous data on 209 patients with type 2 diabetes to evaluate the effectiveness of three types of weight loss surgery using the new criteria. They found that the remission rate was 41 per cent for gastric bypass, the most effective type of surgery. “Using the new criteria, we don’t get such eye-catching figures as some that have been quoted in recent years,” said Dr Carel le Roux, from the Department of Medicine at Imperial College London, who led the study. “But it’s clear that weight loss surgery, particularly gastric bypass, has a significant beneficial effect on glucose control. Gastric bypass involves stapling the stomach to create a small pouch at the top, which is then connected directly to the small intestine, bypassing most of the stomach and the duodenum (the first part of the small intestine). Sleeve gastrectomy, which involves surgically removing a portion of the stomach, and gastric banding, in which a band is placed around part of the stomach, achieved remission rates of 26 per cent and 7 per cent respectively, although these figures are based on smaller numbers of patients. NIHR Biomedical Research Centres support research across a wide range of disease areas. These Centres are the most outstanding NHS/University research partnerships in the country; leaders in scientific translation and early adopters of new insights in technologies, techniques and treatments for improving health. To ensure they are able to succeed, the NIHR BRCs receive substantial levels of sustained funding. NIHR BRC funding supports the NHS infrastructure to create an environment where scientific endeavour can thrive, attracting the foremost talent and producing world-class outputs. Consistently rated amongst the world’s best universities, Imperial College London is a science-based institution with a reputation for excellence in teaching and research that attracts 14,000 students and 6,000 staff of the highest international quality. Innovative research at the College explores the interface between science, medicine, engineering and business, delivering practical solutions that improve quality of life and the environment – underpinned by a dynamic enterprise culture. Since its foundation in 1907, Imperial’s contributions to society have included the discovery of penicillin, the development of holography and the foundations of fibre optics. This commitment to the application of research for the benefit of all continues today, with current focuses including interdisciplinary collaborations to improve global health, tackle climate change, develop sustainable sources of energy and address security challenges. In 2007, Imperial College London and Imperial College Healthcare NHS Trust formed the UK’s first Academic Health Science Centre. This unique partnership aims to improve the quality of life of patients and populations by taking new discoveries and translating them into new therapies as quickly as possible.